I was apprehensive about seeing this film, because 27 years have passed since the last one so my initial opinion was let’s let a sleeping dog, or in this case ghost, die. Couple this with casting women who have no genetic connection to the original characters and I sensed disaster. I was wrong. Not only did this work, it was extremely effective in giving the plot of the story a new life. A brief appearance by Bill Murray as cynic and disbeliever Dr. Martin Heiss is refreshing and takes us back to another time. Perfect! Additional memories will be accentuated by…well, you’ll see. Kristen Wiig plays as Erin Gilbert, a professor at Columbia University and unheralded published author on the subject of the paranormal. A few years later, Gilbert lands a prestigious teaching position at Columbia University. In the meantime her book resurfaces no thanks to Abby Bergman (Melissa McCarthy) and she is laughed out of academia. Speaking of laughs, McCarthy’s sense of humor will diffuse the resulting tension between the two but I found her delivery weak and sometimes out of sync. 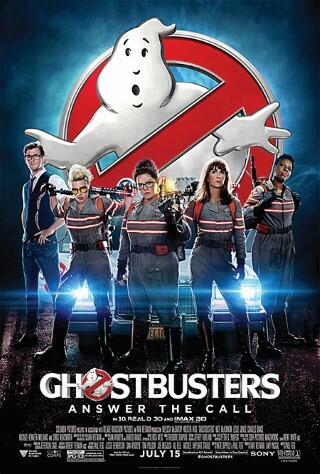 This would soon be forgotten by the other ghost buster member, Jillian Holtzmann (Kate McKinnon). McKinnon is a tech nerd, brilliant with a touch of sarcasm with a no none-sense approach to life. Last, but certainly not least, is Patty Tolan (Leslie Jones; Saturday Night Live-1975) a NYC subway worker who stumbles across the focal supernatural threat. This encounter catapults her into membership of this elite Ghostbusters team. Her humor is also a refreshing addition. All together they form a mismatched group of out of control paranormal fighters that eventually congeal into a collaborative effort when ghosts invade Manhattan as they try to save the world. Several writers assembled to give this sequel its new life. Of those is Dan Aykroyd whose own fascination with the paranormal inspired the original concept in 1984. Conceived as a vehicle for himself and for his friend and fellow Saturday Night Live alumnus John Belushi, the original story was titled "Ghost Smashers." Very different than what would be eventually filmed it involved a group of Ghostbusters that would travel through time, space and other dimensions taking on huge ghosts. While there are no similarities in this installment either, it does beg the question of where else can this team be taken? Stay tuned.